If you need to convince anyone (including yourself!) 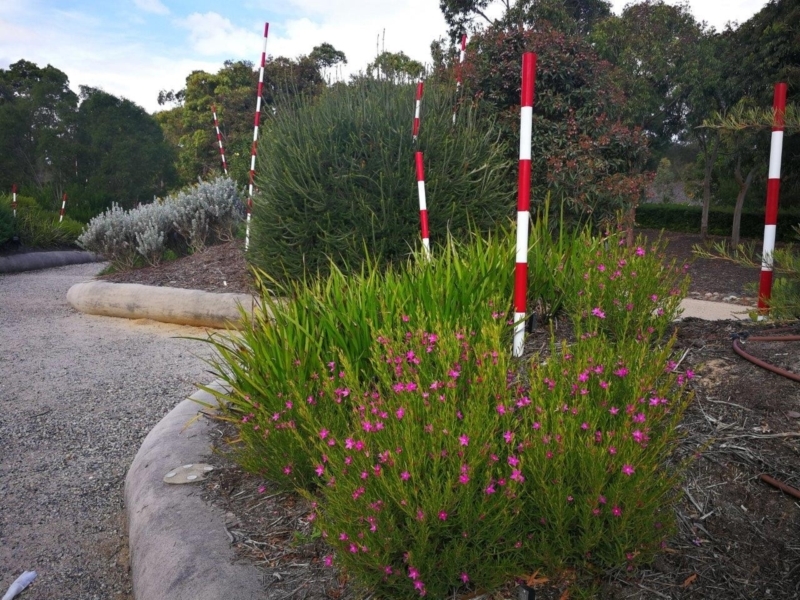 of the beauty of Australian native plants, then this is the place. Every corner taken on this walk reveals a spectacular, colourful landscape. 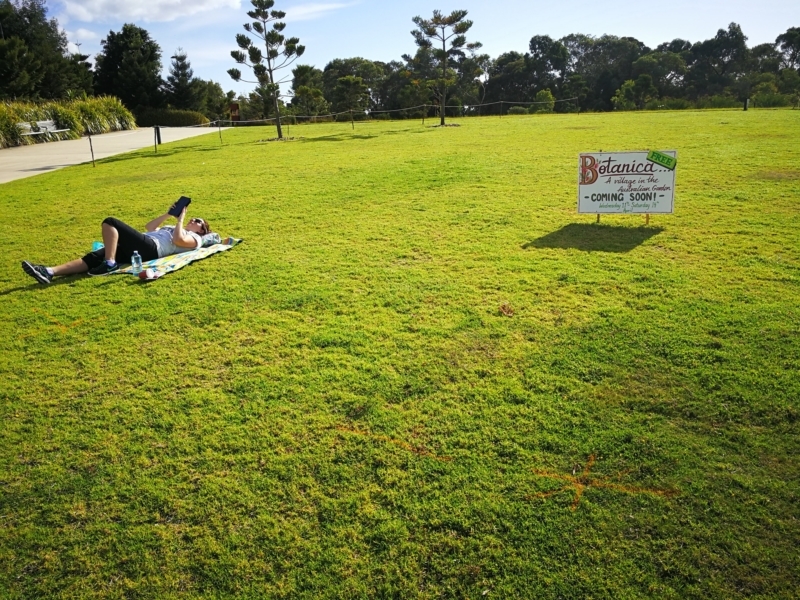 These gardens are a must-do for every Victorian and every visitor to the state. 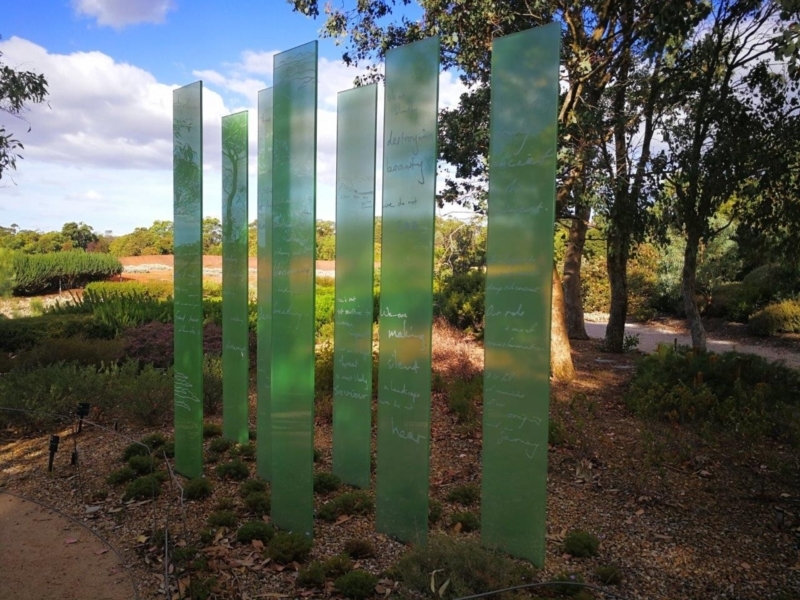 If you've always driven past the turnoff sign to the gardens as you head away on a coastal holiday, we hope these photos will help convince you to stop and take a walking break next time! Please note, dogs are not allowed in the gardens at any time (except for assistance animals). 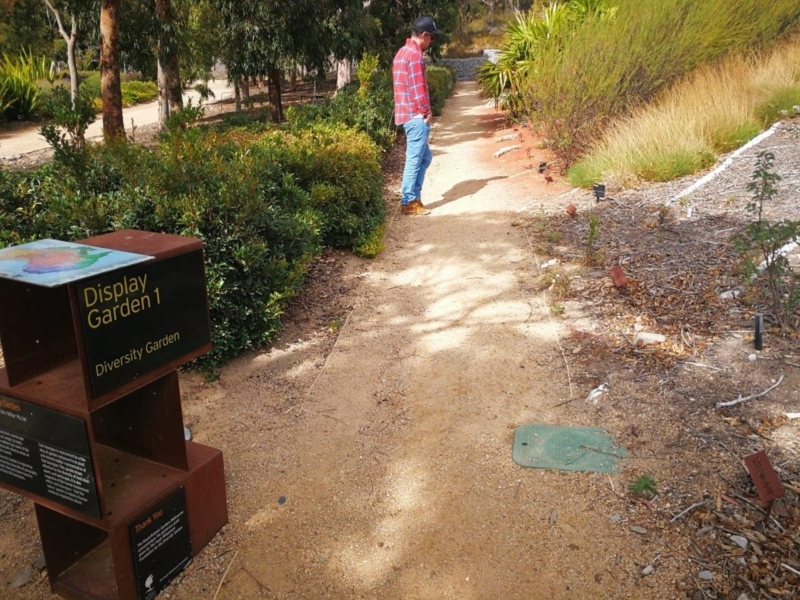 Also beware that snakes are often sighted in the gardens at certain times of the year (so keep to paths and look for signage). 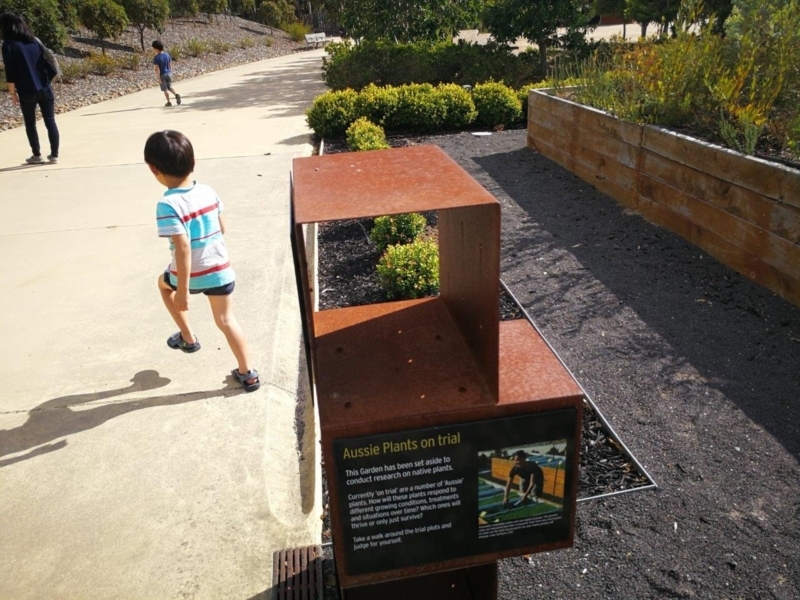 Begin your walk by passing through the impressive Visitor Centre and descending the steps to a fantastic first vista of the Red Sands garden. 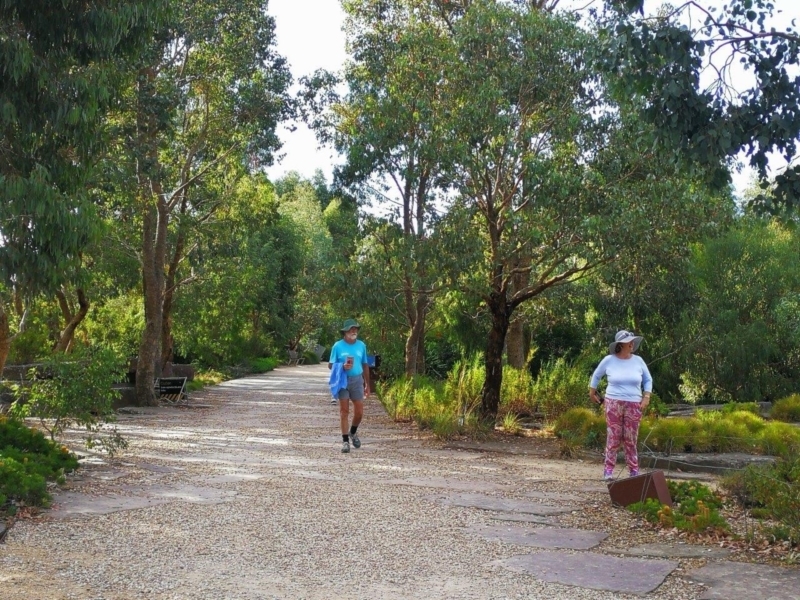 The diversity garden is a great place to begin your walk as it's a great snap shot of the variety of native Australian plants. 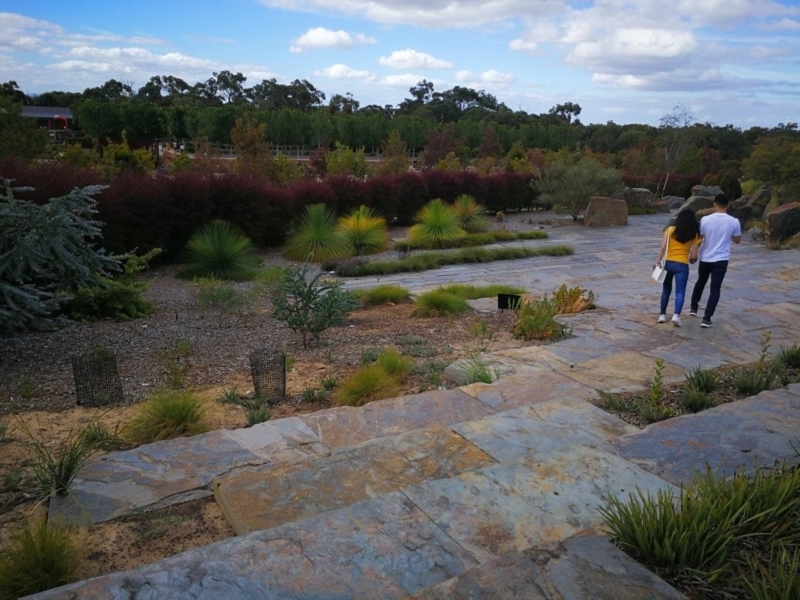 There are lots of ideas here for how you should plan a garden in the Australian climate (one that will most likely get ever drier). 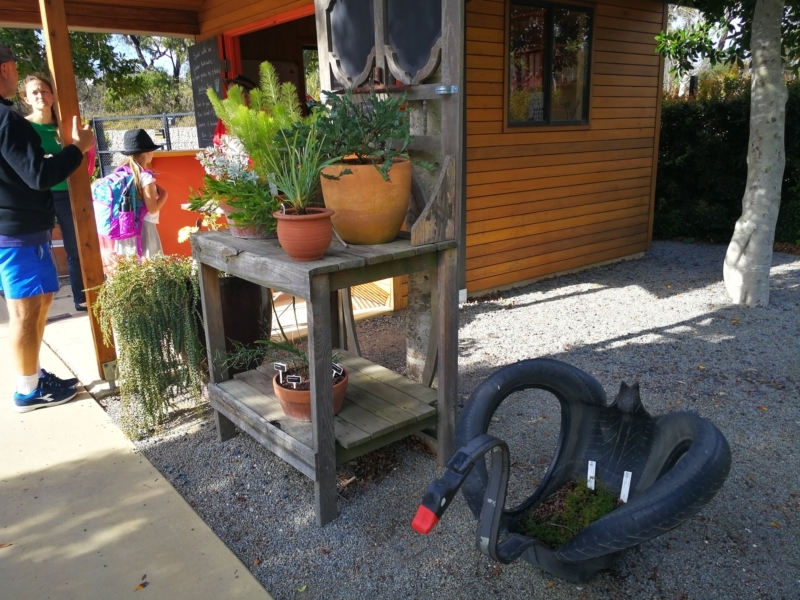 Keep an eye out for the gorgeous blue, yellow and red watering cans! 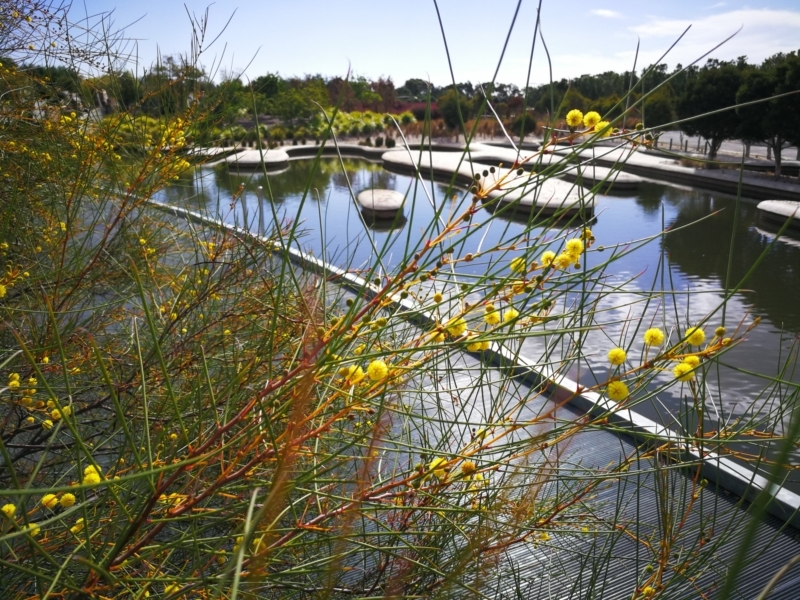 What will Australian plants look like in the future once scientists have meddled with them? 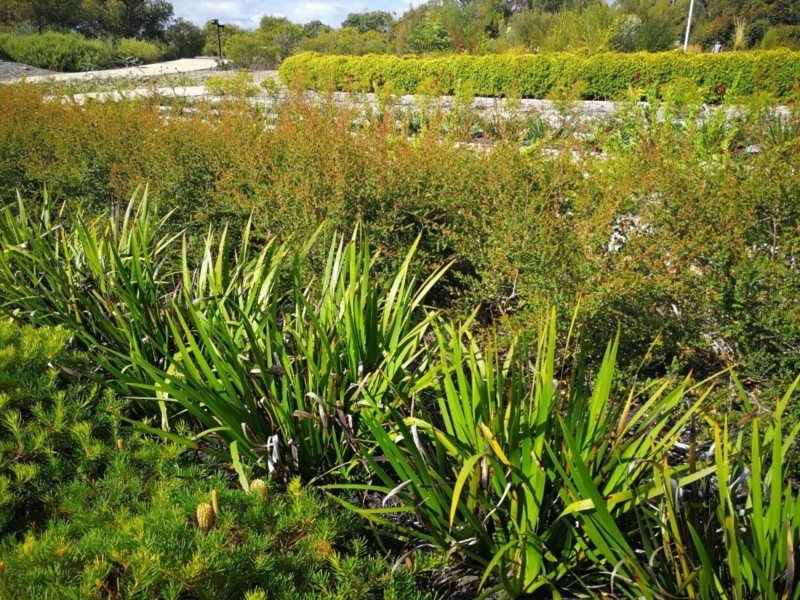 This garden explores what science can offer to help plants adapt to a warming planet. 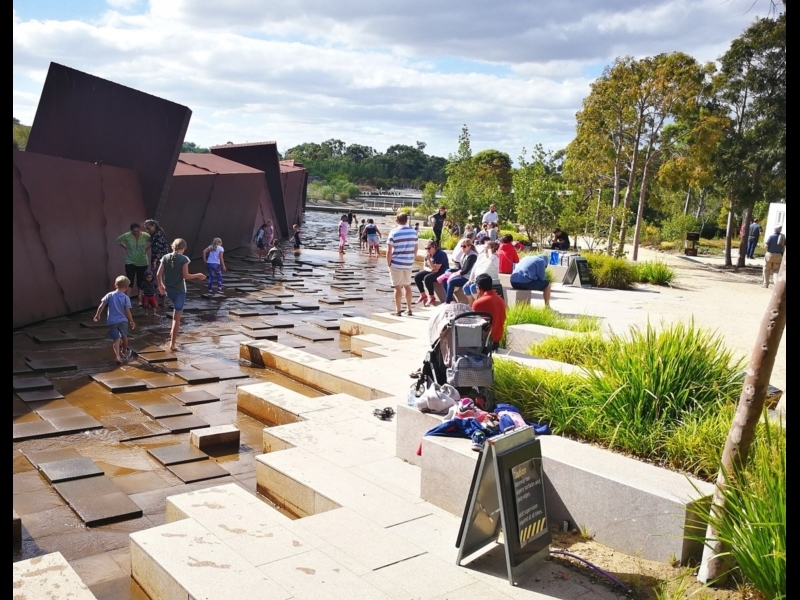 A great place for people of all ages to relax, cool down and have fun! Mind the slippery surface though. 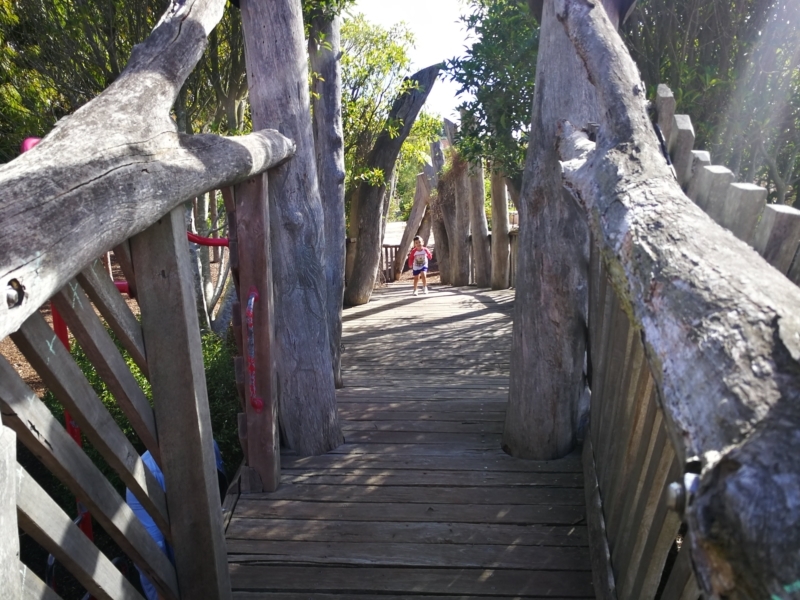 Lots here to pique the interest of little folk - with log archways, a slide, blackboards and lots of potential hiding spots for a fun game. This area has information boards, toilets, drinking taps plus some lovely seating in the shade. So perhaps this isn't quite a native garden after all?! 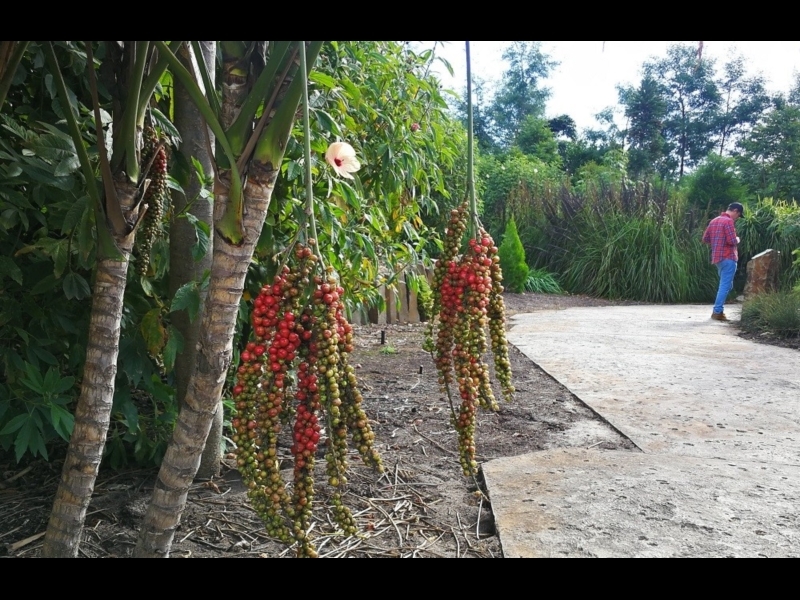 Find out what is meant by 'cultivate' when it comes to plants. 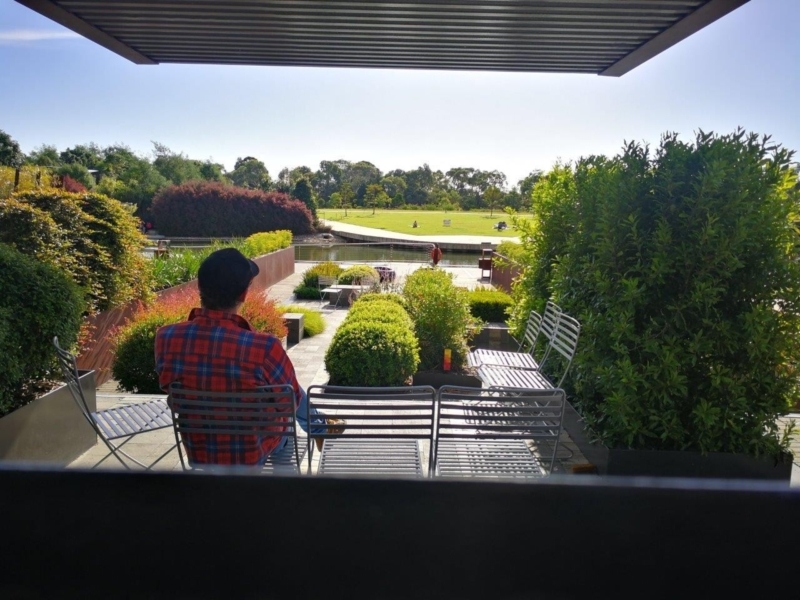 Horticultural and scientific staff at Cranbourne and trialing all sorts of things and this garden is a great place to discover just what they're up to! 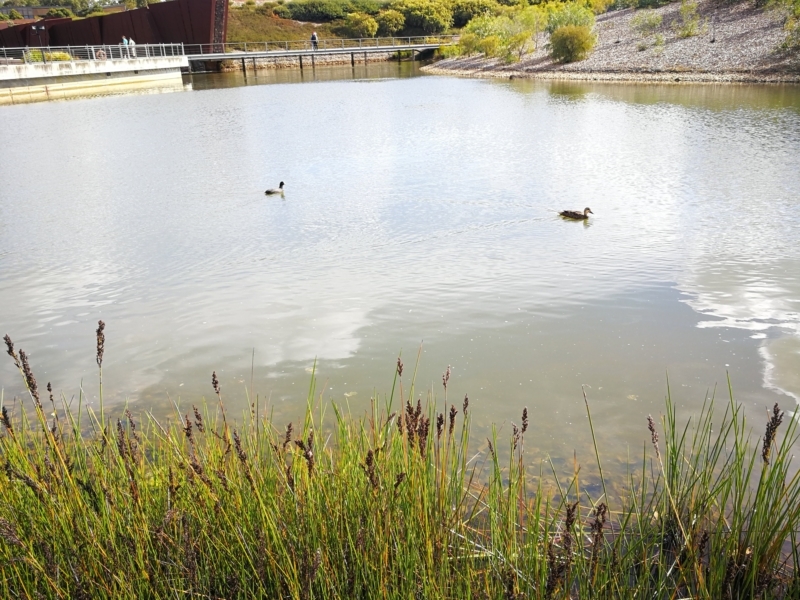 Take in a view over the waterways as you make your way around the base of Howson Hill. Every view at Cranbourne is spectacular ... So really, there is no wrong way to go! 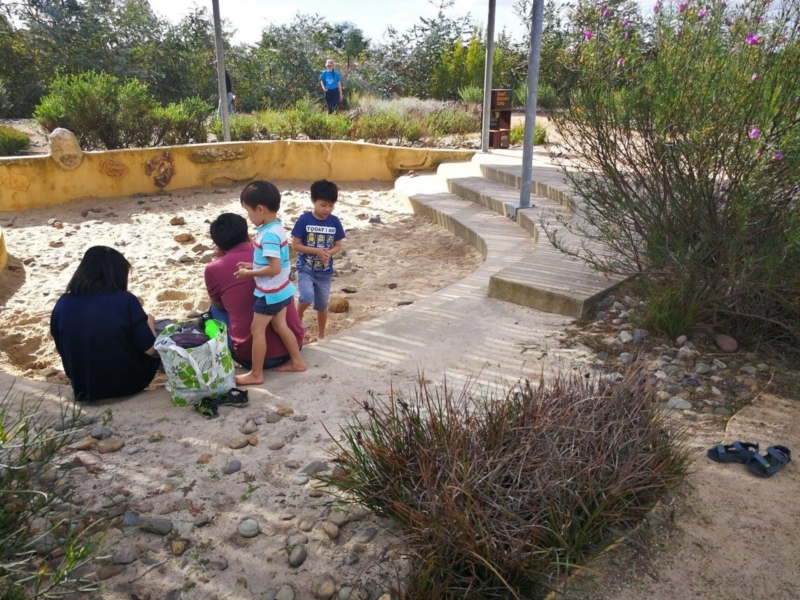 Take the wooded path up Gibson Hill where you will find the Arid garden and a sandpit for those keen on doing some digging of their own. 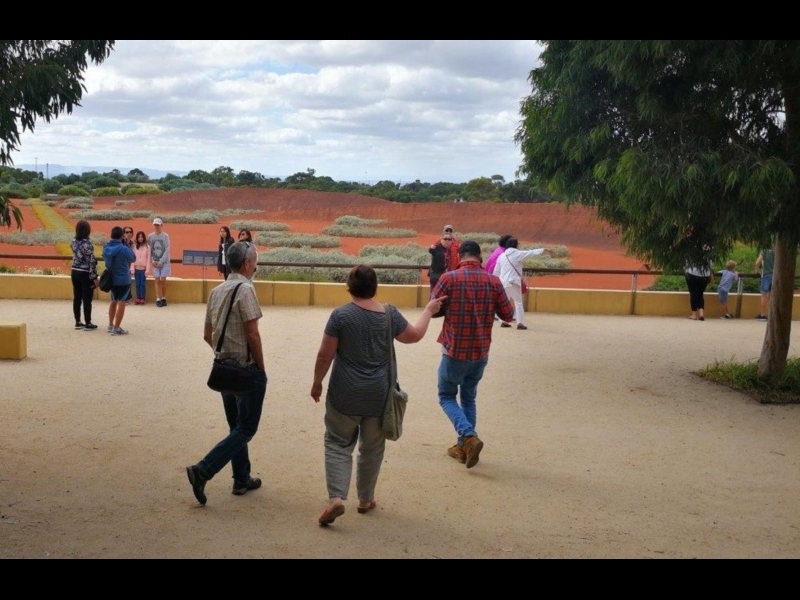 If you've never quite made it to the Red Centre or the Nullabor, perhaps this is the next best thing? 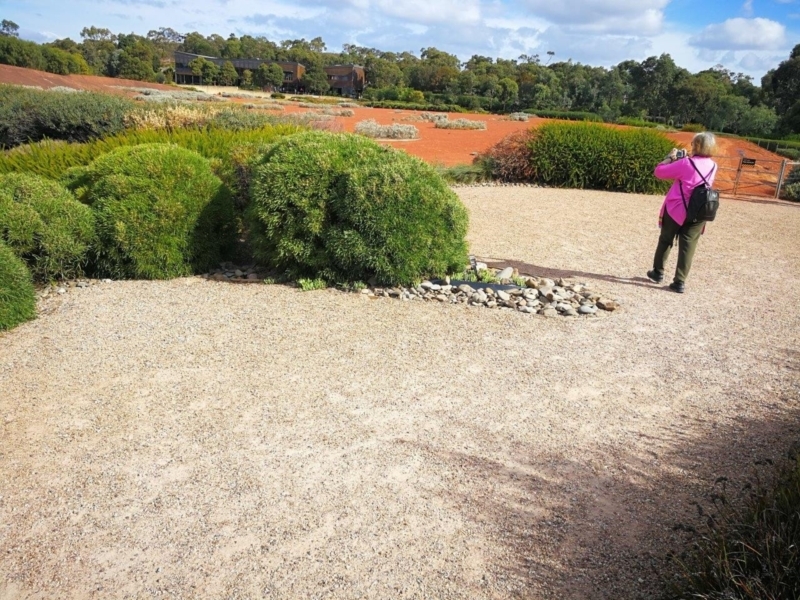 As you descend from the arid garden, you'll be greeted by (another) lovely view. 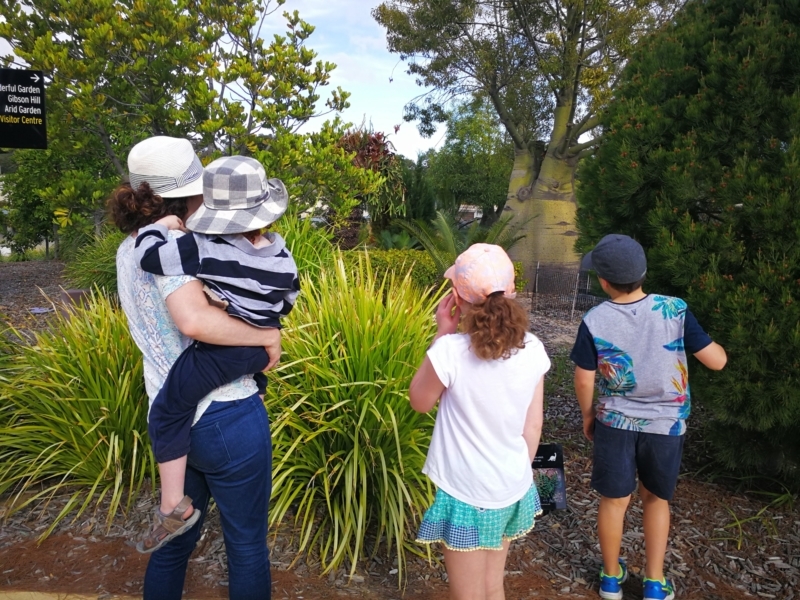 Bottle trees and other rare and quirky sights... A great place for the curious (budding botanists included). You wish... Some of the ideas here are very achievable, but others may require a pretty spectacular view! Lots of ideas here for your own garden at home, regardless of whether you have lots of space, or just a little. 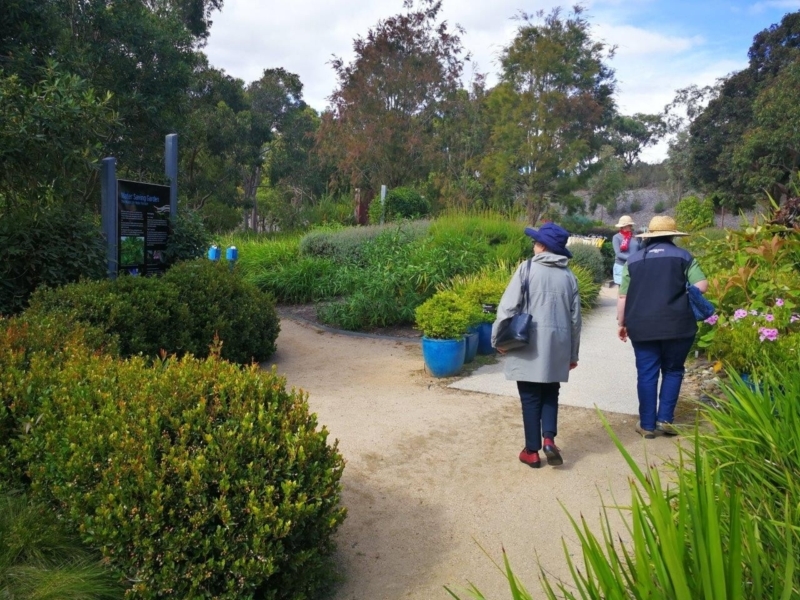 A friendly volunteer is on-hand to answer any of your gardening queries or to point you to the next stop on your Cranbourne Gardens walk. Before Australia broke away from the giant Gondwana continent, its landscape would have been far lusher and more tropical. This garden gives you an idea. 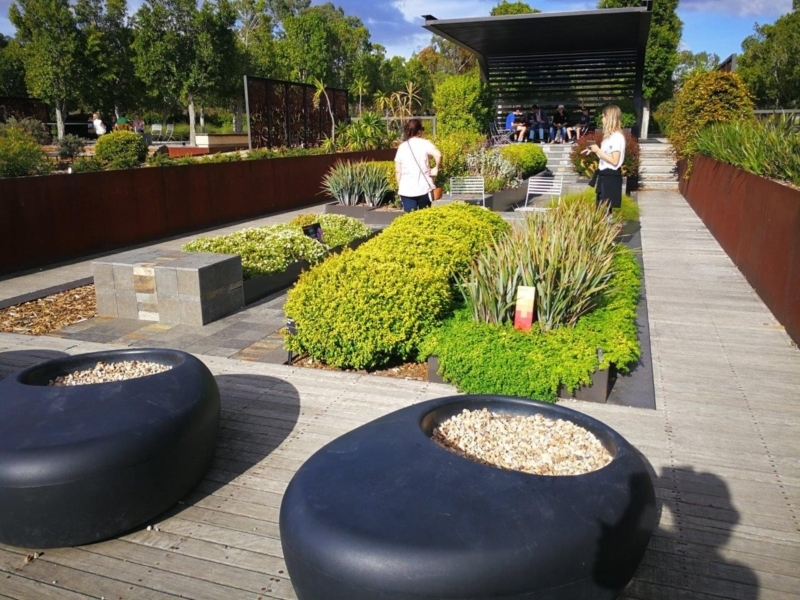 Stroll through five gardens featuring some of Australia's most-loved Eucalypt species: Stringybark, Bloodwood, Peppermint-scented, Box and Ironbark. There are many sculptures dotted around the gardens but this has to be one of the most beautiful. You have to see it to appreciate how the light dances through and around it. 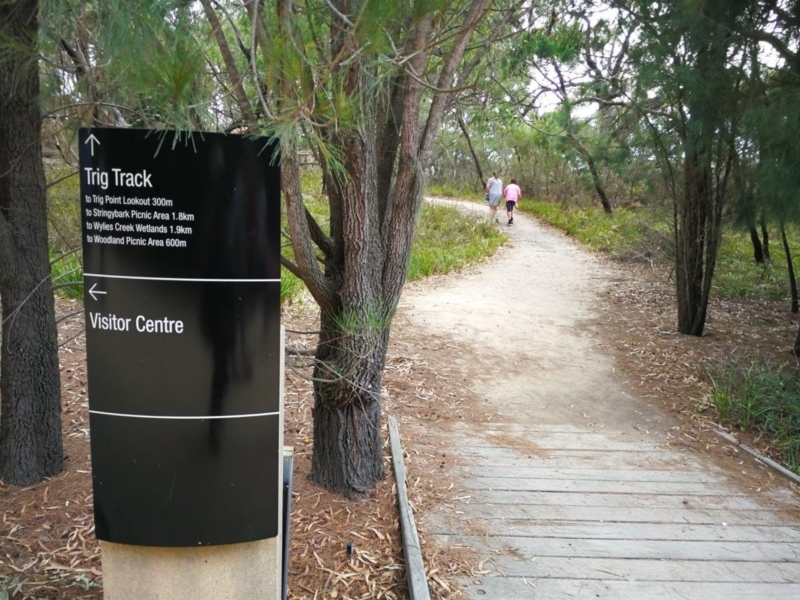 If you're keen do a much longer walk, then take this path to the Trig track and then walk to the lookout, or you could follow the signs instead to the Woodland Picnic area.